This last week I have spent quite a lot of time listening to some of the great new music that has been brought to my attention recently, mainly through the joys of Twitter and Facebook. Both regularly prove great sources of shared information, especially in the world of new music. I currently follow 804 people on Twitter, the vast majority of them are musicians and music lovers with whom I have a great deal in common musically. So what better platform to discover new music? This is a fantastic album of what Laura herself describes as ‘grungey dystopian gloom-pop’. The writing is really interesting and for me brought to mind some of Skin’s solo material on the first couple of listens. I posted my favourite track NIMN from the album in the player above. Well worth checking out and her Bandcamp page offers a plethora of imaginative packages. My second offering today come from ambient/drone artist Emmalee Crane. I really enjoyed her 2009 album Crux and have been keeping my eyes peeled for news of her latest release Formantine. It seems I entirely missed said news and today discovered the album was released in November..
Emmalee creates some beautiful ambient soundscapes using a combination of acoustic, electronic and found sounds treated with delicate processing. The review at Savaran Music and Sound describes her music as ‘ambient, orchestral drone’. The production is wonderful and helps create some of the most atmospheric and organic ambient music I’ve heard in a long time. The first track After Catalunya (posted in the player above) and track 3 A Lullaby Hum grabbed me straight away. Again we’re in the realms of ambient acoustic music with a few folky vocal acoustic tracks thrown in. I’m really interested to see what the full album sounds like and will be keeping my eye on his Bandcamp page for updates.. 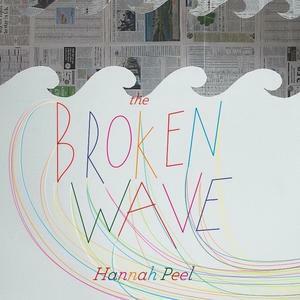 Finally it was brought to my attention at a gig last night that Hannah Peel‘s new album The Broken Wave is out now. I don’t have a cunning little player for you this time so I’ll have to trust you to check out the album yourselves. It is available from the usual download sites, including eMusic. This entry was posted on Monday, January 24th, 2011 at 5:17 pmand is filed under . You can follow any responses to this entry through the RSS 2.0 feed. You can leave a response, or trackback from your own site.